This post was published 10 years 4 months 11 days ago which may make its content inapplicable to the current Islanders roster and/or team news. This site is not responsible for any misunderstanding. The Islanders play with a system, on some nights it works like clockwork – on other nights it looks like pandemonium or just disarray. For anyone that uses a computer that runs ANY Microsoft operating system – sometimes you just need to hit CTRL-ALT-DEL (Control – Alt – Delete) to “reboot” the system. After the showing the team put up in a home loss on Saturday and a follow up stinker tonight in Toronto – it’s about that time. FORECHECK!!!! When it was there, the Islanders scored, when it wasn’t – well…..
Work on clearing the puck out of your own zone. How many times during these losses has the team tried to clear the puck but throw it up the boards to a vacant position? Practice passing the puck. Too many passes to places and areas where players SHOULD be, but aren’t. Going back to the first item, the BREAKOUT – it’s not an anything out on most nights. Move the puck fast and follow it up – isn’t that the entire focus of “Overspeed”? How about REALLY watching some game tapes. Look at what Toronto did successfully tonight and mimic the small things. On a majority of the goals scored for them, they moved the puck beautifully. I have not seen passing from the Islanders that has blown me away or taken me back – aside from glimpses from Bailey or Weight. You have 5 players plus a goaltender – use them to move and set up plays. The last Toronto goal by Williams is a picture perfect play – and a play that I absolutely crave. Stay the heck out of the penalty box. Why is Bergenheim even thinking about putting his arm on a player. Sure, whoever it was (I don’t remember) fell as if he was shot – but you just DO NOT DO THAT! There were some other penalties, but nothing really to mention specifically. Shoot the puck – FASTER!!! I lost track, but Toronto must have blocked like 30 Islanders shots tonight. They closed lanes, kept shots wide and just kept pressure on the entire game. I have faith in Gordon, this is not me sounding an alarm to get him out of here. He needs time to grow and adapt to the league in order to be completely successful – but at the same time, I don’t understand why the team just collapses like they do. When they are on, they are dead on – but the same holds true for when they are off. On one hand, I am completely frustrated by their play. On the other – I hope they stay in the basement cellar for the rest of the season. The first round pick (very very HIGH pick) is just what this franchise needs to rebuild, no matter who says what. Tomorrow is going to be interesting as always, Philadelphia always seems to play the Islanders hard – the biggest question is how will the Islanders respond? 1)The team better turn it around soon, else the season will quickly start to slip away. 7 points and 5 teams to climb over to get to #8 is already a steap hill to climb! 2) If they do disintegrate, does Gordon get to finish out the season? I don’t expect this team to be anything more than a bubble team. I also don’t feel that management expects Gordon to work miracles, which is why they went with a young new coach. Gordon is what this team needs, he isn’t going anywhere. 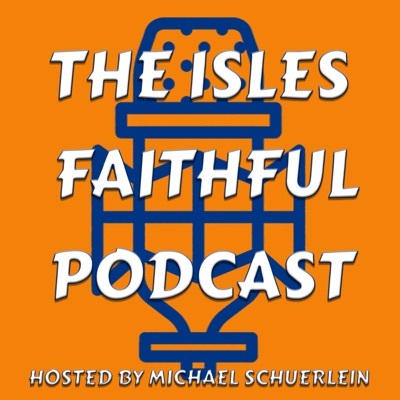 1) Mike: If the Isles stay in contention and are a ‘bubble team'(finishing less than 5 points from 8th) then we’d agree that Gordon has done a good job and deserves to return. 2) However, if the team tanks and finishes dead last overall with 75 or less points does the team stick with him? Gordon has done a ton already with what he has (injuries and players). For starters the Islanders have finally setup their minor league team to utilize the same system as the big club. This is something that should have been done years ago as it allows you to judge your young talent and teach the players the same systems in real time – not later on. The Islanders have also had way too much turnover in the head coaching position. In the past young coaches were not given the time needed to succeed (Laviolette). Great things don’t happen overnight, if the Islanders tank and get the number one pick – so be it. Gordon should and ultimately WILL remain in his position. Time and patience have been shown this season, I see no reason or signs of anything else happening. I saw your post on the whole tanking for a high pick issue, I’ll be stopping by to comment when I get home from work. how much truth is to this? Either way, Gordon just doesn’t have this team playing together. Voice (Frank Trovato) is a great blogger, but I don’t agree. Maybe I am naive and everything – but I put weight into everything Bettman says about not wanting to move this franchise. I have faith (albeit a small amount) in our elected officials to get something done – especially given the fact that more jobs could potentially be lost should the Islanders vacate Nassau County. Too many factors are getting in the way right now – the threat of a recession, the overall stability of the economy, a weak dollar and an election year tend to put these things on the back burner a bit. Everything I have heard so far hasn’t been as dire as everyone is making it out to be. As far as Versus goes, don’t pay attention to the individuals who speak that way about the franchise, for everything “bad” they can say about it, they can also say a half dozen positive things as well. They just chose not to. Gordon is finding his way, imagine if he had a few more key individuals? Well, I have stopped paying attention to the Canadian press (Senators/Leafs) since they trashed the Isles and they proceeded to beat the Senators during the home-and-home earlier in the year. I’ve realized that the Isles are the fun “gang up” team in the NHL. Regarding them leaving, I do agree with you. It’s just unfortunate that there’s no easy way to get to the Coliseum regarding mass transportation. But looking at their Business Club listings (which has a ton of local businesses supporting them) it just doesn’t seem like the town and the fans would let the Isles leave. Great first period. Sillinger winning faceoffs, Streit’s quick shots and Danis’ saves, a very surprising 1st period considering they got in late and could’ve been very sluggish.